Mari was located in Mesopotamia (just inside the border of modern Syria) on the site of Tell Hariri on the west bank of the Euphrates - the most northerly of all the Sumerian city states. Thought to have been inhabited since the fifth millennium BC, the inhabitants of Mari were Semitic, probably part of the Eblaite and Akkadian migration. Their village became a flourishing city state from about 2900 BC until circa 1760 BC as a strategic stronghold between Sumer and the city states of Syria and northern Mesopotamia. It was destroyed in the 24th century BC and only revived when the Amorites succeeded the Sumerians. Hammurabi's Babylonian empire eventually conquered and sacked it in the eighteenth century BC. 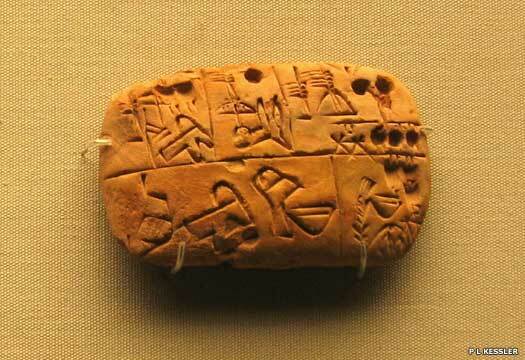 This is the tenth set of entries on the Sumerian list comprising kings 60-65. 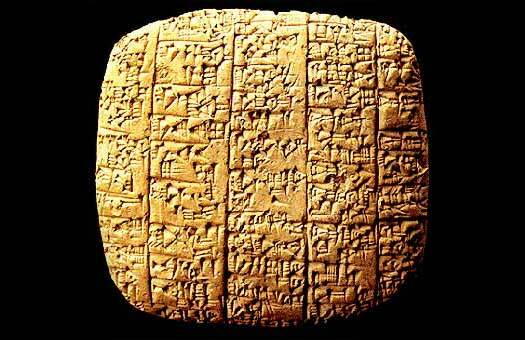 Six kings achieved dominance over Sumer, ruling for 136 / 184 years (Lists 1 & 2). Here, List 1 is primarily used, backed up by List 2 and List 3 (see Sumer for details). There are also further names which are not on the list (apart from Ilshu) and which seem to clash in their estimated dates. These are listed with a shaded background following Ilshu. God-king deified with a temple in his name, founded c.2600 BC. Mari holds the kingship from Adab, gaining ascendancy over areas of northern Sumer (the dates do not fit in with those established for Adab if the kingship is gained at the start of this dynasty, so more probably the kingship is secured in around 2350 BC, perhaps only by Carrum-iter, with the list including his entire dynasty to reflect his right to rule). Son. Ruled for 17/7 years. Ruled for 30 years. The 'Leatherworker'. Mari is involved in frequent warfare against the dominant Lagash. Iblul-Il is credited with conquering the city state of Ebla. Ruled for 20 years. The 'Fuller'. Ruled for 30 years. The 'Gudu Priest'. Or Sharrum-Ite. Ruled for 9/7 years. Gained the kingship? The king list records the kingship next passing briefly to the Third Dynasty of Kish. Mari is destroyed, although opinion is divided on the culprit. It is likely either Sargon of Akkad (who later states that he passed through Mari on his campaign to the west, using it as a base of operations), or Mari's traditional commercial rivals, the people of Ebla. The region declines in importance with the city probably becoming little more than a village. The city is destroyed by Ebla, and a 'dynasty of generals' appears to assume control. Last of dynasty of generals? Also controlled Ebla. The 'dynasty of generals' comes to an end, for reasons unknown, and Mari may even be abandoned. Either way, the Amorite peoples living in Terqa are able to move in and take over the region. Some time before 2000 BC the population of Mari began to swell again as a result of the arrival of a confederation of tribes in Sumer called the Amorites. By 1900 BC the north-western Syrian Sim'alite branch of Amorites was already settled in nearby Terqa, about sixty kilometres to the north, and it now managed to subdue Mari (or repopulate it) and establish a relatively stable kingdom. Although records for it are sparse. a second age of prosperity began for the city. For a while it also manage to subdue the Hurrians of Urkesh. Amorite ruler, possibly from Terqa. Mari and Ekallatum begin a feud that lasts until c.1761 BC. Also king of Terqa? Assassinated by his servants. Yahdun-Lim sends troops north towards the Mediterranean, to join those of Yamkhad in fighting against several previously subject Syrian tribal states, including Harran and Tuttul. The enemy armies are defeated and their towns are attacked. Son. Also king of Terqa? Shamshi-Adad sets up an empire which stretches from the Mediterranean to the Zagros Mountains, the kingdom of Upper Mesopotamia. He conquers Mari, taking control of Terqa and Urkesh, and places Yasmah-Adad, one of his sons, on the throne. Yasmah-Adad marries Beltum, daughter of the king of Qatna, as his principal wife. Upper Mesopotamian 'Governor of Mari'. Overthrown. Upon the death of Shamshi-Adad, his kingdom falls apart. In Mari, the Amorite Zimri-Lim of Alakhtum and Terqa destroys Yasmah-Adad's forces. Yasmah-Adad himself is either killed or flees (sources fail to agree). King of Mari, Alakhtum & Terqa. Zimri-Lim greatly extends Mari's glory when he expands the royal palace to encompass more than 300 rooms, as well as founding the state archives. He establishes strong ties with Alep, Babylon and Hazor, having previously married Princess Shiptu, daughter of Sumu'epuh of Alep, and having been sold the city state of Alakhtum. He later marries the daughter of the king of Qatna, Dam-hurasim. He also establishes trade relations with at least thirty-two kings (mentioned in the palace archives), including those of Andarig and Apum, and counts Anum-Herwa of Hattian Zalwar as his vassal. Hammurabi turns on his old ally, defeating Zimri-Lim in battle and conquering Mari. Two years later Mari is sacked and devastated by Hammurabi and the region is incorporated into the Babylonian empire. The area is subsequently occupied by scattered groups of Assyrians and Babylonians, with the former city remaining a village. Power in the Middle Euphrates shifts some 100kms north to Zimri-Lim's home city of Terqa. The Kassites invade Mesopotamia, taking Mari. The Kassites were another non-Semitic, non-Indo-European mountain people just like the Amorites. They invaded Babylon in the eighteenth century BC and eventually conquered it, ruling over it until 748 BC. before then, they ruled locally in Mari, and perhaps in nearby Terqa too. Kassite leader when they invaded the Babylonian empire. King of Terqa / Hana. The economically weakened Babylonian empire is sacked by the Hittites, allowing the Kassites to move south from Mari and take over control of Babylonia. A dynasty of Assyrian governors leaves royal-style inscriptions without acknowledging the weakened Assyrian king. Instead, they cheekily claim descent from Hammurabi of Babylon. The village of Mari disappears from history upon the arrival of the Greeks.